Find more project details here. Affinity at Serangoon transport are well connected to various parts of the island. 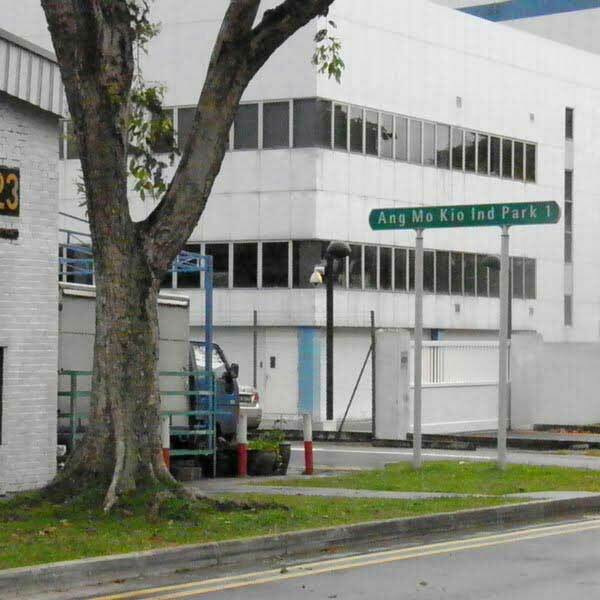 Ang Mo Kio Industrial Park 1 comprises 14 blocks of single-storey terrace workshops for clean and light general industrial trades and a canteen. The industrial park is in close proximity to the Ang Mo Kio MRT station and the Central Expressway (CTE). ​Ang Mo Kio Industrial Park 2 comprises 45 blocks of single-storey terrace workshops and a four-storey block of industrial workshops for motor-related and clean and light general industrial trades. The industrial park is a 10-minute drive away from Ang Mo Kio MRT station, and a four-minute drive away from the Central Expressway (CTE). Three canteens within the estate and nearby eateries and food centres provide a variety of F&B options. These parks form the industrial backbone, and consists of numerous SMEs, and MNCs such as Micron Semiconductor Asia, ST Microelectronics, Daikin, and local heavyweights such as Popular, Sheng Shiong, Kulicke and Soffa, Utac, and Singtel Building. The famous Autopoint and AMK Tech Link is also situated here. Affinity at Serangoon residents working at this part of the Industrial area will find easy connectivity. The North Coast Innovation Corridor is a continual stretch of land that dominates the North Eastern part of Singapore hugging the Coast Line, it is a concerted and coordinated effort planned by the government to share the economic activity and growth of the nation to other parts of the island to achieve scalability and higher potential capacity. Affinity at Serangoon Location is South of Seletar Aerospace Park. The 320-hectare Seletar Aerospace Park supports Singapore’s vision to become a global aviation hub. 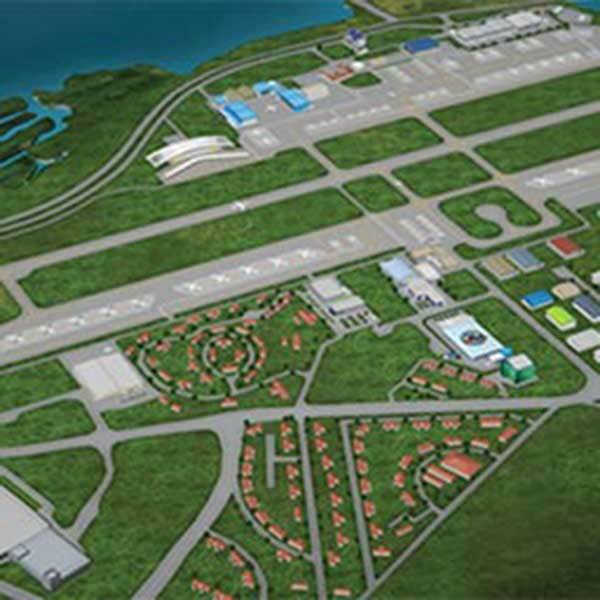 160 ha of purpose-built land and infrastructure is dedicated to the aerospace industry, while the remaining 160 ha is occupied by the Seletar Airport. Seletar Aerospace Park is home to a vibrant aerospace industry cluster of over 60 Multi-National Companies (MNCs) and local aerospace enterprises, a thriving community of 6,000 professionals, as well as a myriad of aerospace business activities. Key activities carried out in the park include: Maintenance, Repair and Overhaul (MRO); Manufacturing and assembly of aircraft engines and components; Business and general aviation; and Training and R&D activities. 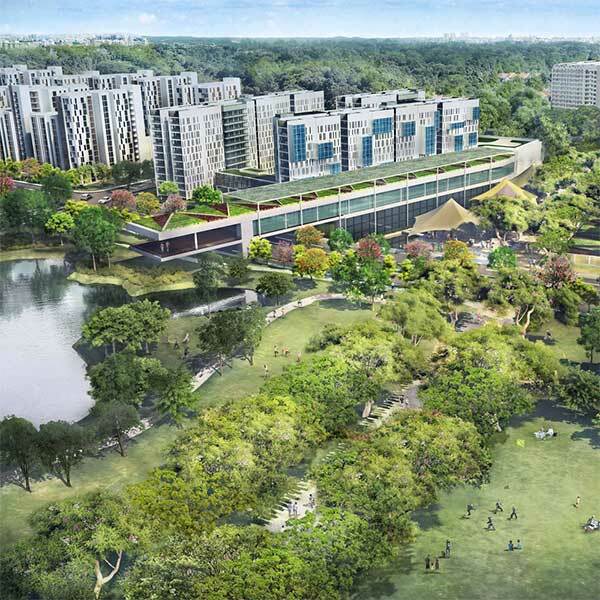 Affinity at Serangoon reviews has also come from workers and professionals of Seletar Aerospace Park, the convenient location of Affinity at Serangoon to the Park cannot be underestimated. There is a spectrum of space solutions within the aerospace park to cater to the needs of MNCs, SMEs and start-ups throughout their stages of growth. JTC aeroSpace offers “plug-and-play” land-based modular spaces for companies to set up their operations quickly; and the multi-tenanted JTC Aviation One and Two provide small and medium spaces for SMEs. The future North Coast will be an enterprising economic corridor filled with creative design, innovative ideas, and poster technology. Spanning from Woodlands Regional Centre, Sembawang Estate, the future Seletar Regional Centre to the learning corridor and creative cluster at Punggol Town. Serving the Bidadari Estate, Affinity at Serangoon residents can also take advantage of what this place has to offer. Bidadari is connected and convenient because of the North East (Purple) and Circle (Yellow) Line. URA has termed Bidadari as a “Community Within a Garden”, and picturesque landscape and open greenery will be very much expected. Bidadari is will be a beautiful, urban oasis where all can seek calm, rest, and build a family. 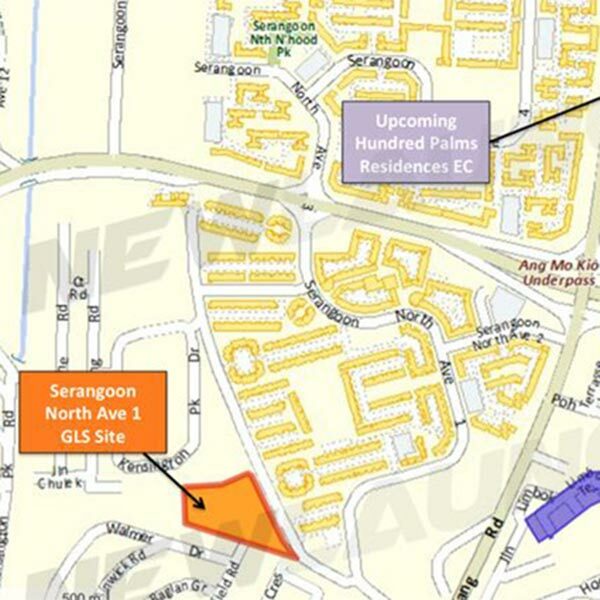 Affinity at Serangoon Condo is 4 mins walk to future Serangoon North MRT Station. Bidadari Park will be located right in the middle of the estate as part of the plan to extend a green lung. Alkaff Lake will be reproduced as part of the heritage recognition of the estate, and thus, a Heritage Walk will also be built as a testament to the beauty and green of the history of the Estate in Bidadari. Affinity at Serangoon Condo residents will find much convenience and options here. Rosyth is the top 3 most oversubscribed school due to the rigorous academia support and focus on a lifelong and balanced approach to learning. Rosyth School’s vision espouses a community of life-long learners who are motivated and competent to learn. As compassionate and active citizens, Rosythians aspire to use their knowledge, skills and talents to care and serve for the betterment of others and the community. Rosythians grow up as leaders in their own lives as they take on different leadership roles in their development, set goals to pursue their dreams and value the talents within themselves, thereby blossoming into confident and fulfilled individuals. Among Affinity at Serangoon schools closest to the condo, this is one of the most popular and best schools. Rosyth School has a rich history of 61 years and has held to its commitment and dedication to add value to the cohorts of Rosythians in their learning, personal growth and well-being. In 2016, Rosyth celebrated the school 60th Anniversary (RS60) where saw many Rosythians, parents, school staff and stakeholders across the decades come together to celebrate with the theme ‘Appreciate, Affirm, Aspire’. Rosyth’s Parents Support Group’s dynamism and active involvement in school programmes is a signature in Rosyth School. The many school-child-parent programmes by the PSG have strengthened the synergy and positive outcomes for the students. 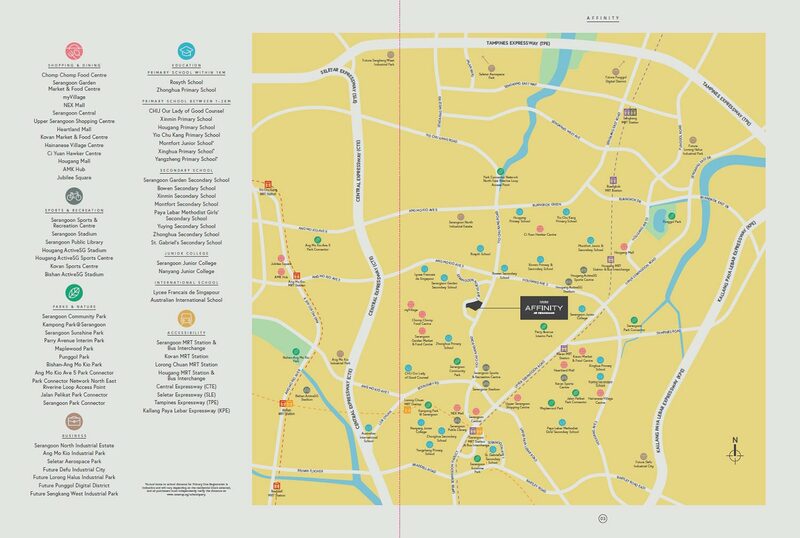 Affinity at Serangoon Condo is within 2km to Rosyth. The school’s name ‘Zhonghua’ originated from the old name for ‘Chung Hwa Girls’ School’ founded by a Chinese clan association in 1911 to provide a basic education for the children of the Chinese community. It was developed into a full school in 1951. 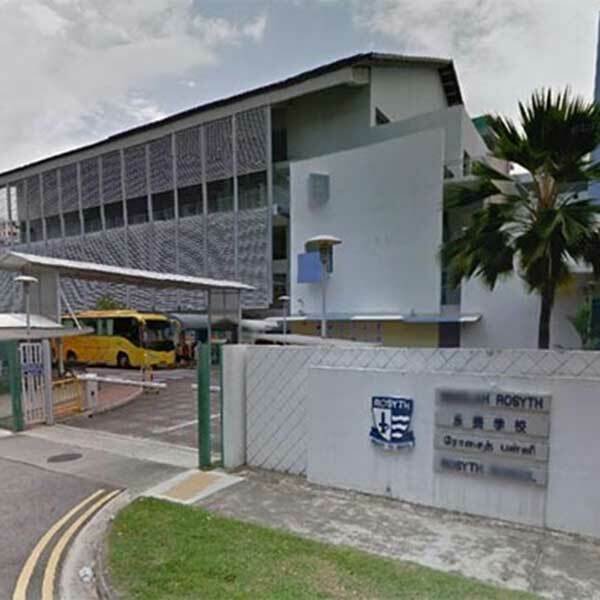 The primary school site was at Niven Road and the secondary school site was at Bartley Road with the new name “Chung Hwa Girls’ High School”. It became a government-aided school in 1957. In 1962, to promote better school management, the classes at the two sites had separate principals. In 1980, Chung Hua Girls’ Primary School at Niven Road was closed down due to declining enrolment which was a consequence of parental demand for English-medium schools. However, Chung Hwa Girls’ High School accepted its first intake of English-medium pupils. 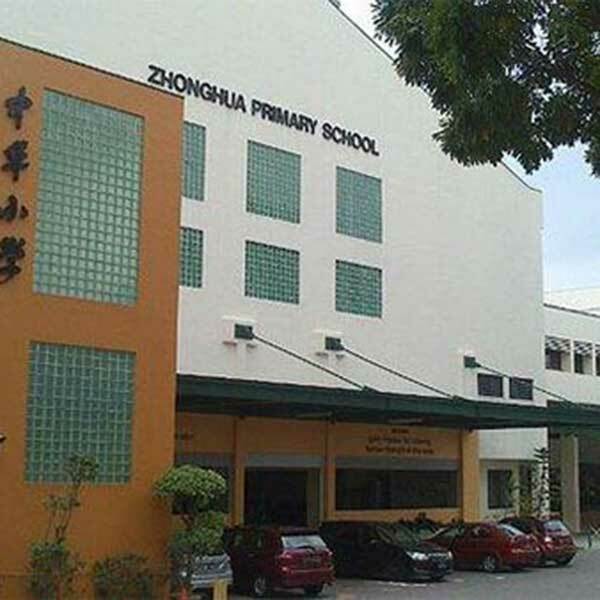 The School moved to Serangoon Avenue 4 in December 1986 and was renamed “Zhonghua Secondary School”. Zhonghua Primary School, based on the P101 design, was built next to the Zhonghua Secondary School at a cost of $4.6 million. It is equipped with all modern facilities. It is a government school which started functioning on 2 January 1987 as a single session. It was officially opened by Mr Goh Choon Kang, MP for Braddell Heights on 6 July 1989. The first principal, Mr Tan Eng Chai retired on 2 October 1989. Mdm Jenny Law, became its second Principal from 3 October 1989 to 15 December 1996. Mdm Zahara Yusoff took over as from 16 December 1996 to 15 December 2002. Mr Stephen Chua Tong Hee then took over 16 December 2002 to 15 December 2007. Mr Bucktha Seelan was next appointed Principal on 16 December 2007 and served the school until the end of 2014. The current Principal, Mdm Rostinah was appointed as Principal on 15 December 2014. The school was extensively upgraded under PRIME which stands for Programme for Rebuilding and IMprovement of Existing schools between June 2000 and November 2001. The upgrading work has been successfully completed and the school is now equipped with facilities of the latest specifications. Affinity at Serangoon Condo is within 2km to ZhongHua. There has been good reviews of this school from some Affinity at Serangoon buyers. The students of the French School of Singapore are mainly of French origin but more than sixty nationalities are also represented. Today, the school welcomes nearly 2,800 students, from Kindergarten to Grade 12. Affinity at Serangoon will have expats communities because it is so near to this school. The teaching of languages ​​at the Lycée is one of the priorities, all students have the chance, whatever their background, to be able to master several foreign languages ​​(English, Mandarin, etc …) with innovative teaching devices. 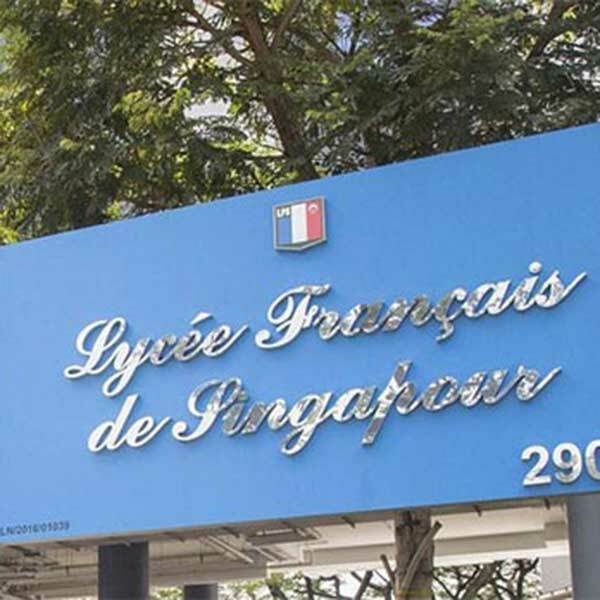 The Lycée Français de Singapour accompanies students until the Baccalaureate, a high school diploma, the French equivalent of the “A” Levels. It gives access to a French and international university curriculum. The success rate of the establishment at the baccalaureate is regularly higher than 95%. On a site of more than 54,000 m², the Lycée Français de Singapour offers its students, from Kindergarten to High School, the opportunity to practice many sports and cultural activities. It also gives them privileged access to new technologies thanks to state-of-the-art computer and scientific equipment. School of the future, the French School of Singapore has all the assets to ensure children the best opportunities for academic and academic success while promoting their personal development. 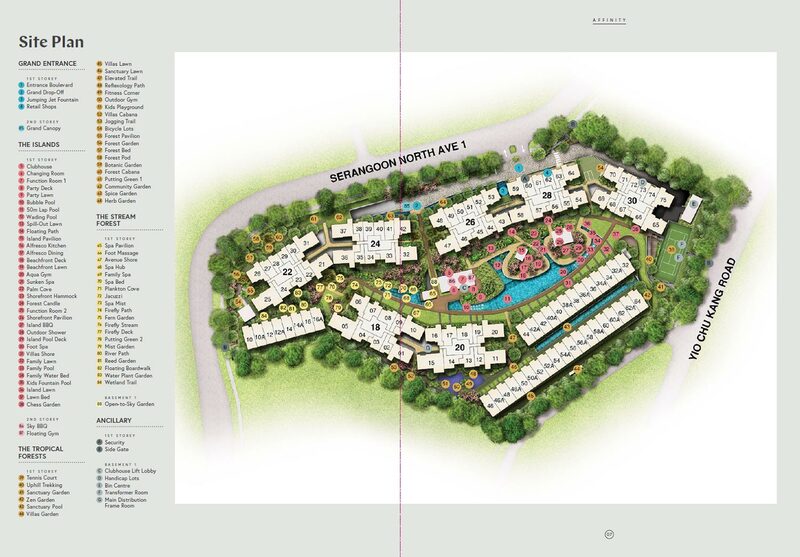 Affinity at Serangoon Condo is within minutes walk from Lycee Francais De Singapour. 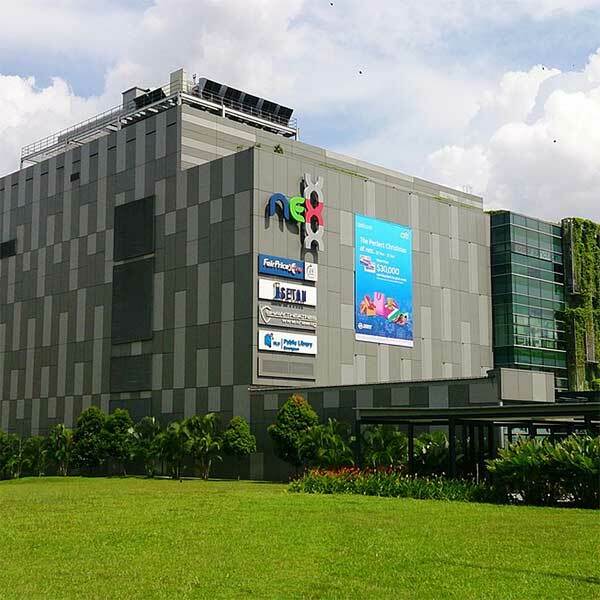 Nex is a regional shopping mall in Serangoon, within the North-East Region of Singapore. The largest mall in North-East Singapore and one of the largest suburban malls in the country, and is integrated with the air-conditioned Serangoon Bus Interchange and Serangoon MRT Station. Anchor Tenants includes Fairprice Xtra 24 hours, Isetan, Serangoon Public Library, Shaw Theatres. Junior Tenants includes Anytime Fitness, Cold Storage, Courts, Food Junction, Food Republic, H&M, Kiddy Palace, Popular, Shokutsu 10, Uniqlo. Affinity at Serangoon Location to the mall is unbeatable, just 5 mins drive away from Affinity at Serangoon Condo. 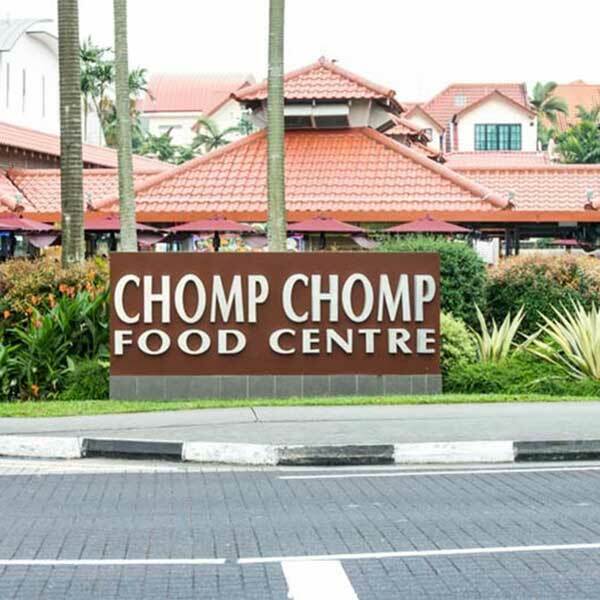 Chomp Chomp food centre may sometimes appear to be smaller in size compared to other more traditional hawker centres in Singapore, but here in and around Chomp Chomp, the food choices will not disappoint. Its location is neatly tucked in a neighbourhood of low-rise private homes and landed estates, exuding charms from its alfresco setting make it an ideal place to enjoy local favourites such as fried Hokkien mee and Satay in the soothing Singapore hot weather. Welcome now to perfect venue for supper, but it is always recommended to go early and park yourself at a table outdoors (alfresco style) before the crowd comes in during the peak hours from Affinity at Serangoon residents!